A low mileage example with excellent specification including 19" S-Line Rotor Alloy Wheels, Leather Seats, Rear Parking Sensors, Rear Privacy Glass, Cruise Control, DAB Radio, Bluetooth, Automatic Dual Zone Climate Control, Automatic Headlights, 3 Spoke Leather Multifunction Steering Wheel and more. 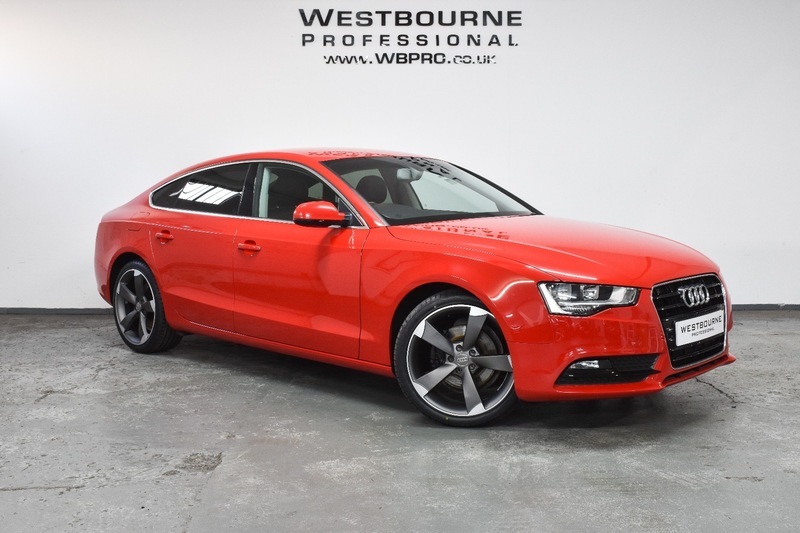 Finished in stunning Brilliant Red with Full Black Leather upholstery, complete with full service history conducted at 17523 and 26029 miles, fitted with 4 brand new tyres and MOT to January 2020. Supplied with 2 keys, along with all original book packs and manuals.